Illinois Law Enforcement Torch Run Breaks $3 Million Mark! The Law Enforcement Torch Run (LETR) for Special Olympics Illinois is coming off a great year in 2013 breaking the long-anticipated goal of raising more than $3 million in a single year. In fact, they ran right past the magic number, raising $3.3 million, an increase from $2.97 million in 2012. And, they are committed to carrying that momentum forward in 2014. The leaders of the Torch Run in Illinois, Eric Smith and Tom Reasoner, lay the credit for the movement’s success squarely on the shoulders of the dedicated departments around the state, the LETR State Committee and Special Olympics Illinois staff, along with the participating partners like Dunkin’ Donuts, Shop ‘n Save, Texas Roadhouse and Buffalo Wild Wings. While Marty Touchette has only been a Special Olympics coach for a little over a year, that short amount of time has been “everything and more” for him. 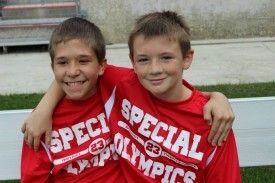 When Touchette began coaching Special Olympics, he met a young man who he became very close with. Schuyler Farris is an athlete on four of Touchette’s teams, one of which is softball. Not long before the softball season started, Schuyler was in an accident that injured his dominant arm. His struggle to recover in time for state softball competition at the 2013 Outdoor Sports Festival inspired Touchette to enter the Share Your Story contest, earning him a second-place win. 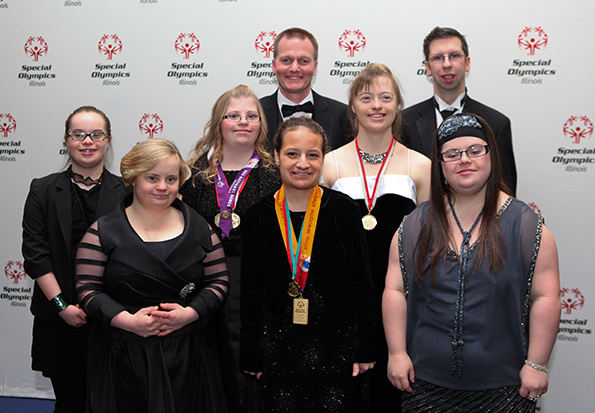 Our Special Olympics athletes led the way for inspiration in 2013 as we saw many feats of courage and inspiration on the playing field and courts. Once again, there were record numbers of speeches and audiences given the message of Special Olympics by our Global Messengers. The Darling Ducklings athletes team raised more than $20,000 for the Windy City Rubber Ducky Derby; Kristen McInerney, Jim Morgan and Sarah Meents led the way by serving on our Board of Directors; and we set records with our Inspire Greatness Gala where Tony Hill’s story of courage, determination and incredible attitude had its first showing. 2013 also saw our Law Enforcement Torch Run hit a record $3.3 million raised, we launched a new website, set record numbers of athletes served and created an online store. 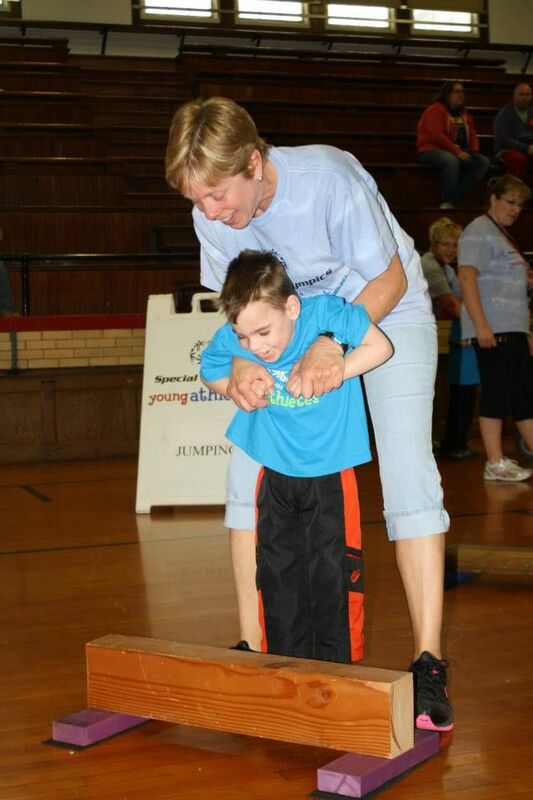 The City of DuQuoin in southern Illinois has embraced Special Olympics and has worked to spread the message about how the program transforms the lives of all involved in the program through a R-Word Day and numerous fundraising tournaments. Read More about how the community is embracing Special Olympics. The official date for the Spread the Word to End the Word campaign is March 5 and numerous schools across the state are planning events around the campaign. 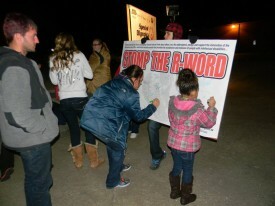 Read More about the R-Word in Illinois. The inaugural Skating Championships will be held on Feb. 19-20 in Romeoville at Canlan Ice Sports. The facility has three full sheets of ice, two of which will be utilized for the figure skating and speed skating competitions. Special Olympics Illinois made the decision to move the sports from Winter Games to assist in attracting more interest and participation in both sports. 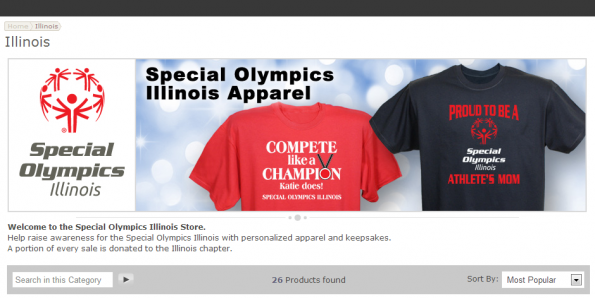 Special Olympics Illinois proudly opened its first online apparel store in December! Fans of Special Olympics Illinois are now be able to purchase SOILL branded gear online, and in the process, help support the individuals who matter most – the athletes. The new store currently features 26 items, 24 of which can be personalized with names and titles (ex. Sister, Coach, Grandma). The organization will also begin to introduce event specific and other traditional Special Olympics Illinois items next month. Athletes, do you have a passion for sports? For Special Olympics? Would you like to share your stories with others so that they might become more aware and more engaged with Special Olympics? There are currently more than 90 athletes in Illinois who serve as Global Messengers, ambassadors, leaders of the movement. In 2013, this group made 275 presentations to an audience to more than 240,000 people. These athletes/Global Messengers are telling audiences and journalists about the remarkable changes that Special Olympics helped bring to their lives. The Global Messengers are part of the Special Olympics Athlete Leadership Program which allows athletes to explore opportunities for greater participation in our movement beyond sports training and competition: as coaches, officials, team captains, spokespeople and Board and committee members. These roles give athletes a voice in shaping the Special Olympics Movement and a chance to spread the word about the transformations Special Olympics can bring to individuals and families. The Athlete Leadership Program also provides a way for athletes to showcase talents and interests that may have gone unnoticed, such as public speaking. Many athletes choose to undergo training to learn presentation skills so they can help spread the message of Special Olympics to the general public. 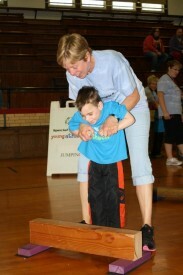 Athletes of ALL ages and abilities are welcomed and participate and grow at their own pace. 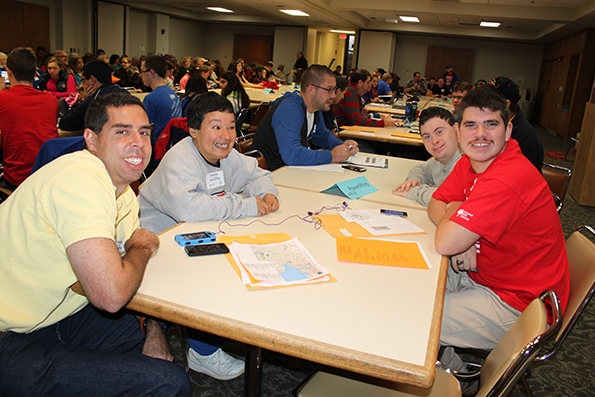 Special Olympics Illinois will be hosting a training for those athletes interested in becoming a part of the Athlete Leadership Program on Saturday-Sunday, March 22-23 at Miseracordia in Chicago. The only requirements for participation are that each athlete have a valid medical form on file and have a mentor or speech coach who is willing to attend the training with them and assist them as needed for presentations that they wish to do. These mentors will also need to complete the Class A volunteer process. See the attached flyer for additional information. If you are interested in this program or have questions, please contact Karen Milligan at 309-888-2013. 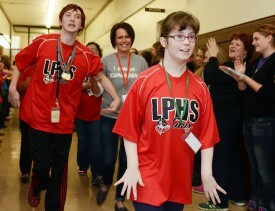 Vince Mertest (left) and Maegan Walton receive a State Send-Off at LaSalle-Peru Township High School before the Special Olympics Illinois State Bowling Tournament. Eight Special Olympics Illinois teams competed in the 12th Annual Ron Knisley Memorial Shootout as part of the State Farm Holiday Classic on Dec. 30 at Illinois Wesleyan University in Bloomington. View photos from 2013 Ron Knisley Memorial Shootout. Eight Special Olympics teams from around the state played in the Shootout – SOAR (Special Opportunities Available in Recreation) Thunder and Bulls of Bloomington; HISRA (Heart of Illinois Special Recreation Association) Gators of Peoria; Rushville High School Rockets; Champaign-Urbana Special Recreation Mustangs; Lincolnway High School Hawks 1 and 2 of Frankfort; and Thornwood High School Thunderbirds of South Holland. Each team competed in three games in the elimination tournament. View results from Ron Knisley Memorial Shootout. 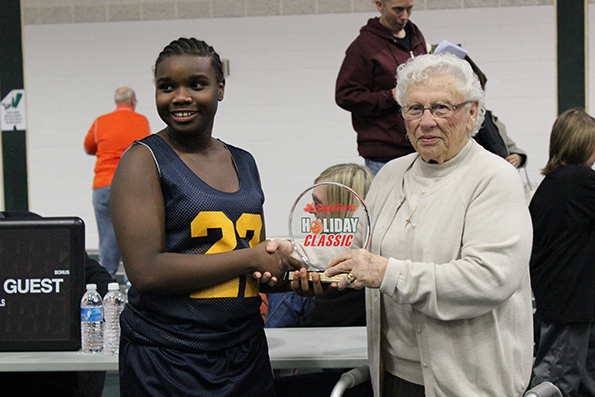 In addition, 8 Special Olympics teams played demonstration games during half-time of each of the four Holiday Classic championship games. 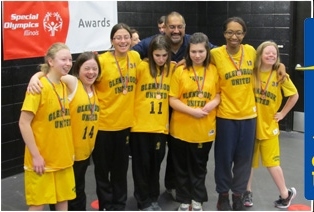 The Shootout began in 2002 as a way to incorporate Special Olympics basketball teams into the Holiday Classic activities. In 2005, the Shootout was renamed the Ron Knisley Memorial Shootout in memory of Ron Knisley, Director of Sports and Competition for Special Olympics Illinois, who died earlier that year. Knisley had been a longtime Holiday Classic committee member and was instrumental in establishing the Shootout. The Ron Knisley Memorial Shootout was a sanctioned Special Olympics Illinois event and was presented by the State Farm Holiday Classic Committee and SOAR, which is a community therapeutic recreation program that is jointly sponsored by the City of Bloomington and the Town of Normal through their Parks & Recreation Departments. 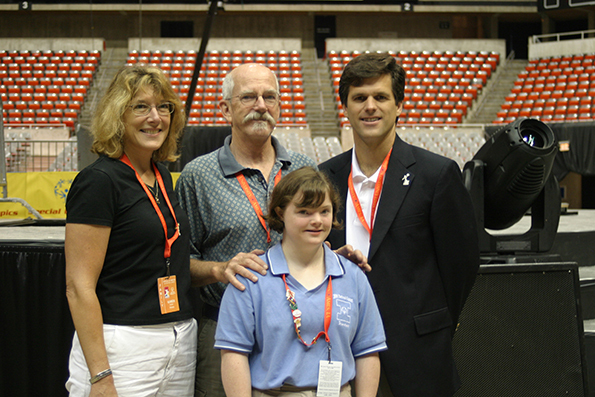 Now that we are into 2014, the official countdown to the Special Olympics 2014 USA Games in Princeton, N.J., has begun! On Nov. 16, all of the athletes and coaches selected to Team Illinois traveled to Bloomington-Normal for a Processing Day. This was the first chance for coaches to meet their athletes and for athletes to meet their coaches and their new teammates. In addition to introductions, all members of Team Illinois had their photographs taken for credentials to be issued at the USA Games, physicals specific to the USA Games and measurements for their Team Illinois uniforms. The day was a great kick-off to what will be a great year preparing and training to represent Special Olympics Illinois on the national scale. The USA Games will take place June 14-21. Opening Ceremonies will be held at the Prudential Center, home of the NHL NJ Devils and WNBA New York Liberty, in Newark, N.J. Closing Ceremonies will be held at the Sun National Bank Arena in Trenton, the capital of New Jersey. In addition to all the competitive experiences, athletes participating will enjoy the Hudson River view of the Statue of Liberty among other NYC landmarks as they cruise around Manhattan and New Jersey. Athletes will participate in highlighted sports competitions, enjoy Olympic Town and Healthy Athletes, and visit the a Trenton Thunder game (AA affiliate of the New York Yankees). The 2014 USA Games promise to be a memorable experience for all involved. Stay tuned for more updates as the event draws nearer! If you are interested in more information for the 2014 USA Games, please visit www.specialolympics2014.org. Editor’s Note: Our friends at Special Olympics Nebraska received input from a local dietician who shares some great ways to be health conscious while traveling. Read on to start the new year on a healthier track! Physical activities often require eating away from home. Whether you are traveling with a sports team, going straight from school or work to practice or simply looking to catch a good workout while on vacation, make sure your body has the fuel it needs. Keep energized by packing a snack. 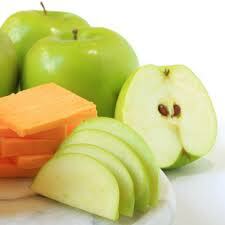 Choose foods with carbohydrates, protein and healthy fats. If packing food isn’t an option, find a restaurant that provides high-performance food options, containing high amounts of nutrients and protein. Also, don’t forget to keep hydrated by drinking enough fluids. Get the nutrients and hydration you need for the activities ahead. Focus on fruits and veggies – If they offer them, order them! Avoid fried foods – Choose steamed baked, broiled or oven roasted items when possible. Timing is everything! – Avoid high-fat and/or carbohydrate-rich foods if you are competing that same day. Think your drink – Water and/or low-fat milk are always best; Avoid drinks high in sugar like soda, juice, energy drinks and sports drinks. 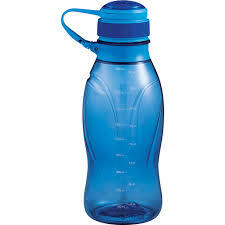 Aim for at least 8 cups of fluid per day. Condiment sense – Limit ketchup, mustard, BBQ sauce, soy sauce and other condiments with high amounts of sodium. Too much sodium may cause your body to hold onto liquid which would cause unwanted weight gain prior to competition. “On the Side” – Round out your meal by ordering healthy side dishes, such as a side salad with low-fat dressing, baked potato or fruit. Boost the nutritional value of your baked potato by topping it with vegetables, salsa or chili. Example of Healthy meal at a major Fast Food Chain: regular hamburger, side salad with low-fat dressing (vinaigrette), fruit and yogurt parfait, water. Total nutrition for meal = 459 calories, 13 g Fat (3.5 g sat, 1 g poly, 4 g mono), 73 g Carbohydrate, 4 g Fiber, 18 g Protein. Low-fat milk – chocolate milk makes for the best post-workout recovery drink! By Travis Lucas, Dietician at The Superior Hy-Vee, Lincoln, Neb. The inaugural Skating Championships will be held on Feb. 19-20 in Romeoville at Canlan Ice Sports. Volunteers are needed for both days of the event. Speed skating needs timers and escorts and figure skating needs escorts. 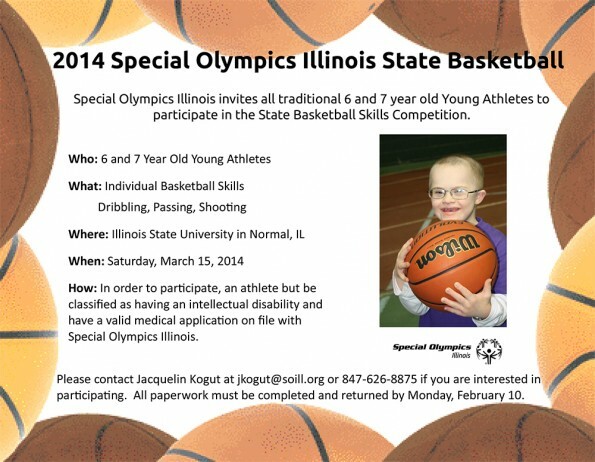 Special Olympics Illinois also needs volunteers with experience as announcers for both of these sports. The facility has three full sheets of ice, two of which will be utilized for the figure skating and speed skating competitions. View Skating Championships fact sheet, schedule. More specific event details regarding hotel information, the final competition schedule and meals will be shared soon and also posted to the website. Please contact David Shindley if you are interested in volunteering. Special Olympics Project UNIFY is an all ages, education-based program that is supported through the Federal Department of Education. There are many moving parts to Project UNIFY, though they all share one driving force: the goal of activating young people and giving them the tools, skills, dispositions and opportunities to build change and to motivate their schools to have true cultures of inclusiveness. Project UNIFY’s diverse activities can be grouped into three major components: Inclusive Sports; Youth Leadership and Advocacy; and Whole School Engagement. Each is a vital and required element of a Project UNIFY school. To learn more, visit our Project UNIFY page. To get the latest information on the Young Athletes Program, like us on Facebook, follow us on Twitter, as well as pin us on Pinterest. We have fun quotes, pictures, craft ideas and much more. Check it out today! On Dec.7, the Dominican University department of athletics hosted 43 Special Olympics Illinois athletes and their families for the Stars Northern Athletics Collegiate Conference (NACC) basketball doubleheader against the Lakeland College Muskies from Wisconsin. Prior to tipoff, the Special Olympics athletes and their families had a pizza “meet and greet” lunch with the Dominican University men’s and women’s basketball teams. In addition to pizza, each of the Special Olympic athletes was given a special edition Dominican University athletics T-shirt with the Special Olympics Illinois logo on the back. Following lunch, the Special Olympics athletes and families moved into the gymnasium where they joined the student-athletes from both institutions on the court for pre-game introductions prior to the men’s game tip-off. 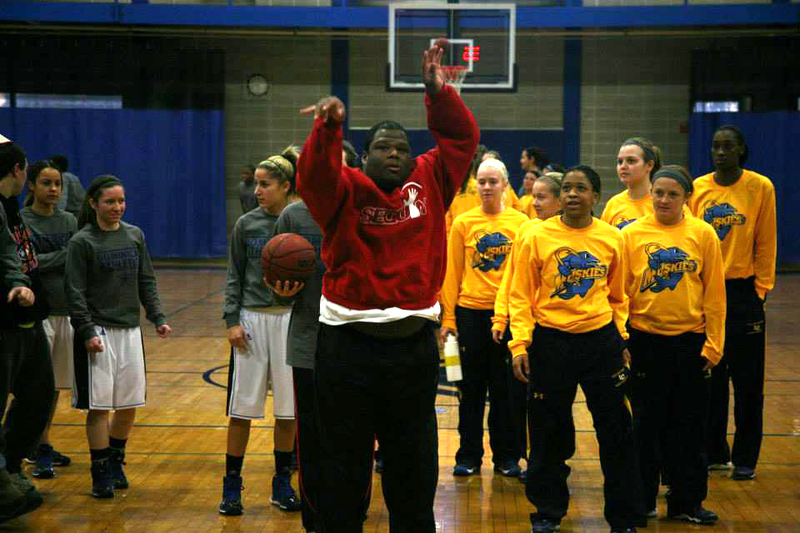 At halftime of the men’s game, the Special Olympic athletes were invited back on the floor for a friendly knockout competition organized by the Dominican University and Lakeland College women’s basketball teams. “Being an athlete sets you apart as a leader on campus,” commented Johnson. “Seeing our athletes rally around the Division III partnership with Special Olympics is a small reason why we are in small college athletics.” View photos from event. 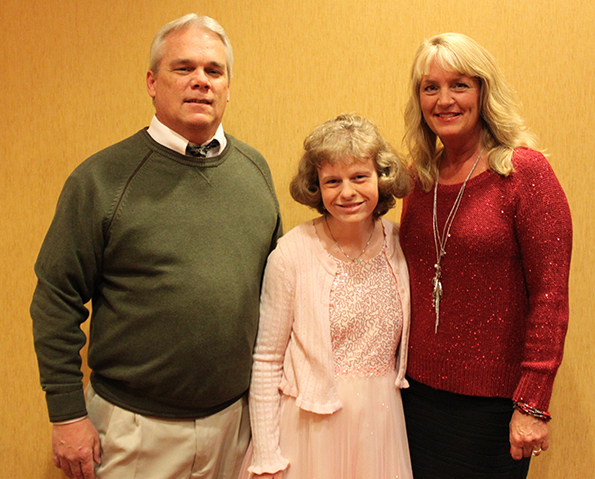 The Sixth Annual Holiday Dinner & Auction hosted 230 guests and raised an anticipated $54,000 for Special Olympics Illinois Heartland/Area 6. The event, on Nov. 12 at the Bloomington-Normal Marriott Hotel & Conference Center, nearly tripled its earnings from the past five years to help it continue its mission of transforming the lives of individuals with intellectual disabilities by providing sports training and competition at no cost to any athlete it serves. The evening featured music by the University High School Jazz Band and face painting by Wild Style Design Company. Guests of the event also enjoyed a signature cocktail while browsing and bidding on the 150 silent auction items and an opportunity to win an infinity necklace in 14-karat white gold with a ¼-carat of diamonds donated by Wm. MarKen Jewelers. The main program highlighted 20 live auction items that raised $13,750. Some of the unique items included a quilt made by athlete Sandra Froman, a trip to Africa, a Lamborghini experience, 2012-2013 Chicago Blackhawks team signed hockey stick and a Tempur-Pedic ergo premier adjustable base with Tempur-Rhapsody Breese Mattress donated by Beds Direct. A remarkable $11,950 was raised through the Fund a Need to send local athletes and coaches to Summer Games. In 2013, it cost Area 6 $43,792 to send 322 athletes and coaches to the State Summer Games at no cost to the athletes or teams. Special thanks to the donors, sponsors and attendees. Sponsors included WJBC, WBNQ, B-104, PNC, Afni, Illinois Farm Bureau, Country Financial, Growmark, Commerce Bank, RK Dixon and Wm. MarKen Jewelers. 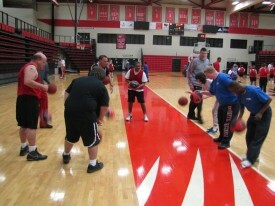 The South Illinois University-Edwardsville men’s and women’s basketball teams played host to more than 65 Special Olympics athletes on Dec. 30 at the Vadalabene Center. SIUE women’s basketball Head Coach Paula Buscher helped organize the event which gave Special Olympics athletes a chance to interact with both teams and their coaching staffs as well as practice the fundamentals of basketball. “It was really cool to see our kids interacting and helping. 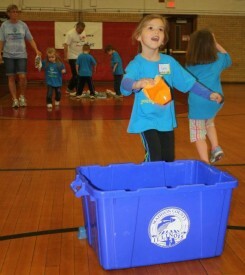 Our kids were teaching and having just as much fun as the Olympians,” said Buscher. The Special Olympics athletes, who came from as far away as Mt. Vernon, were given pep talks by Buscher and men’s Head Coach Lennox Forrester. All of the campers were split into groups and were instructed on shooting, ball handling, and blocking-out for rebounds. After the clinic, there was an autograph session and a pizza party for the Special Olympics athletes. “They were all out there to improve. 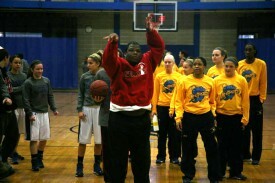 I enjoyed watching the interaction between our players and the Special Olympians,” added Buscher. View photos from event. The team began with just five players. Those five worked together as a team to earn a spot at the State Tournament. The team has continued to find success, earning three State bronze medals and clinching their fourth consecutive entry to the State Tournament after qualifying for the 2013-2014 season. The 10th Annual Holiday Dinner to benefit athletes of Northeast/Area 13 was Nov. 23 at Kemper Lakes Golf Club in Kildeer. The event’s highlights included an athlete skit – a rendition of “Twinkle, Twinkle, Little Star”; over 150 silent auction items, 12 live auction items and a cash raffle. That night, Rita & Gary Gunther purchased 3 of 4 children’s bicycles donated for the auction by AbbVie Quality Assurance. Since the auction was held shortly after the devastating tornado in Washington, the family decided to donate the 3 bicycles to a family they knew in Washington who had lost their house. The event’s Presenting Sponsor was Fabrication Technologies. Other sponsors include Violet Kampendahl and Dam, Snell & Taveirne, Ltd. The event raised more than $30,000 – an increase of almost $5,000 from last year. Thanks to all the amazing support from the families and friends of athletes for making the event such a HUGE success! Be Bold and Get Cold – Take the Plunge! As the cold winter air signifies, Polar Plunge season is just around the corner! The Law Enforcement Torch Run Polar Plunge, presented by GEICO, is a unique opportunity for individuals, teams and organizations to support Special Olympics athletes by taking a dip into the frigid winter waters! The coolest event of winter is back for its 16th year, offering chills and thrills for participants in 20 locations across the state. Participants collect at least $75 in donations in exchange for the privilege of plunging into an icy Illinois lake. The cold you will feel is temporary, but the positive impact made for the athletes of Special Olympics will last a lifetime! Individuals looking for an even bigger challenge can join this year’s SUPER Plunge event, where participants plunge into Lake Michigan 24 times in 24 hours! The SUPER Plunge will be held Feb. 21-22, at Northwestern University’s North Beach in Evanston. All SUPER Plungers are asked to raise a minimum of $2,500. Contact Matt Johnson for additional information. 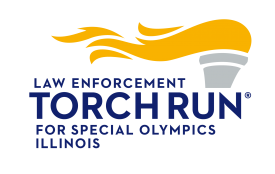 The Illinois Law Enforcement Torch Run will officially kick-off its 2014 campaign on Feb. 7 at the Doubletree Hotel and Conference Center in Bloomington. This year’s Kickoff promises to be the best to date, providing a more interactive and exciting experience to all attendees. 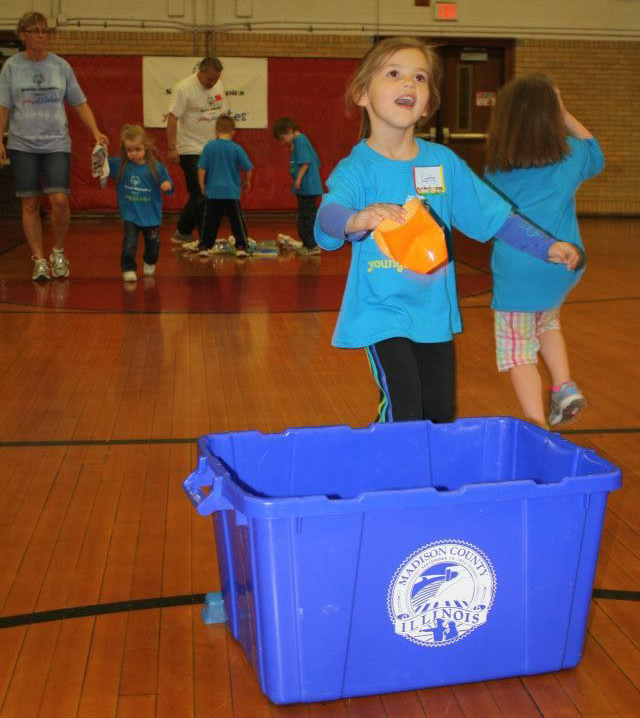 Be sure to join us in “Carrying it Forward” in 2014! The Kickoff Conference, which will run from 10 a.m. until 3 p.m., is free to attend and lunch will be provided. 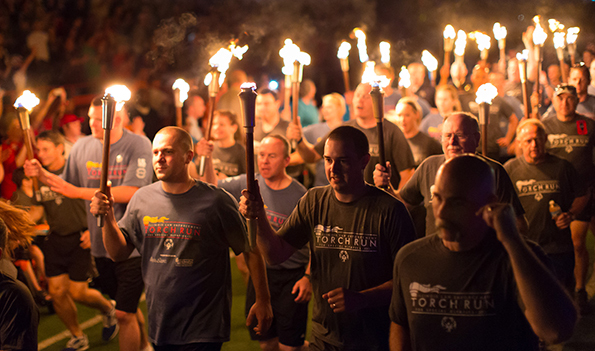 The program is designed to educate and motivate both rookies and veterans on how to spread the word and increase involvement in the Torch Run. Sessions will focus on fundraising best practices, volunteer recruitment and how to foster awareness within your community. All attendees are also eligible to file for a CEU, which is an added benefit to both the officer and their agency towards continued education of community policing initiatives. Interested in attending this year’s Kickoff? View the registration flyer, click here to register or contact Matt Johnson at 800-394-0562 for more information. Tyler Doering of Barrington won the Harley-Davidson Raffle after the bike he randomly selected actually started. He and the other finalists for the 2013 Harley-Davidson Raffle attended an event Nov. 23 at CHI-TOWN Harley-Davidson in Tinley Park. The event featured a catered breakfast, short program and an exciting finale: each finalist randomly selected one of the six identical bikes lined up on the showroom floor, and all at once, they attempted to start their bike. Tyler’s bike started and he was declared the winner! Since 1998, the Kane County Chiefs of Police Association has sponsored a Harley-Davidson Raffle to benefit the Law Enforcement Torch Run® for Special Olympics Illinois. To date, $830,000 has been raised through this raffle for the athletes of Special Olympics Illinois (SOILL). Special Olympics Illinois will have two very special honorary chairs for this year’s First Look for Charity event at the Chicago Auto Show – Justin and Jessica Grammer. 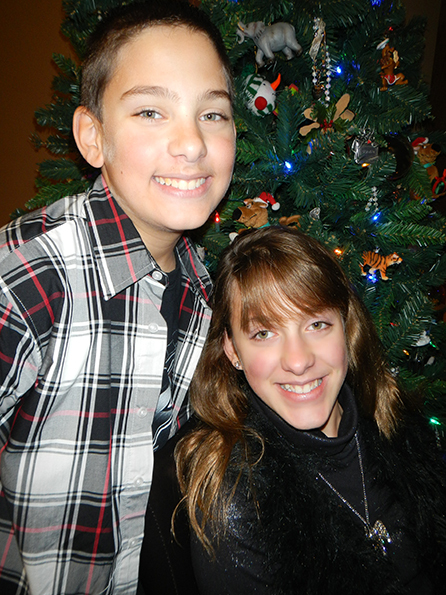 Justin wrote the winning story for our Share Your Story contest called “My Big Sis, My Hero” about his relationship with his sister Jessica, who is a gold medal-winning Special Olympics athlete. Justin says that Jessica has taught him to be courageous and never give up. He also shared how Special Olympics has not only transformed the life of his sister, but has also changed his life. Justin, Jessica and their family will be our special guests at this year’s First Look for Charity event at McCormick Place on Friday, Feb. 7. They will have a sneak peak at all the wonderful cars on display for the Chicago Auto Show and join us in the Special Olympics Illinois hospitality suite. You too can be a part of this great event, have a chance to meet Justin and Jessica and support Special Olympics Illinois. Make your reservation to attend and be sure to designate Special Olympics Illinois as your charity of choice. Your purchase will benefit the more than 21,300 athletes as well as gain you access to our Mad Men-themed hospitality suite. You’ll enjoy hors d’oeuvres, signature cocktails, décor, music and more. This annual black-tie affair will feature entertainment by Sixteen Candles, an ’80s cover ban. Attendees will also have a chance to win a 2014 Toyota Highlander or Corolla (winners must be present). We hope you’ll join us at this wonderful event. Make your online reservation now. If you have questions or need additional information, please contact Corinne Zollars at 630-942-5614. First Look for Charity and the Chicago Auto Show are presented by the Chicago Automobile Trade Association, representing the new car dealers of Chicagoland and northwest Indiana. Tuxedo attire is mandatory. We would like to introduce Don Roth CEO of Amplivox Sound Systems located in Northbrook. Amplivox is a new sponsor and recently started working with Special Olympics as a sponsor of our 2013 Inspire Greatness Gala. In 2014, Amplivox will partner with Special Olympics Illinois as a sponsor of our 2014 Summer Games, the Windy City Duck Derby and Plane Pull. Part of this partnership will be to provide new audio equipment to be used at all of our 2014 statewide events. Prior to Roth acquiring Amplivox, he was the Regional Vice President for Xerox in Illinois. During his tenure at Xerox, Roth and his wife, Nancy, began volunteering their time and support to a variety of charities including Special Olympics. One of the most memorable events that both Don and Nancy volunteered at was the first Special Olympics Games held at Soldier Field in 1968. More than 1,000 athletes from 26 U.S. states and Canada participated. Nancy did her part by making sandwiches. Don recalls the anticipation and excitement felt by everyone in the stands but most importantly, the athletes who were there to participate in the first of its kind event. 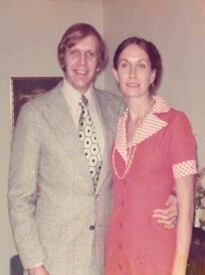 We are so grateful for partners like Don and Nancy Roth and can’t thank them enough for their continued support. Special Olympics Illinois is now part of the Prairie Farms Our Caps for Your Cause program and is looking for your support. For every cap entered, Special Olympics will receive 5 cents. You can help by purchasing Prairie Farms white or flavored milk in gallon or half-gallon sizes, and on the cap there are stickers located inside the cap. Each cap reveals a unique, redeemable code that can be entered online. After 1,000 caps are entered, Prairie Farms Dairy will send a check. “Prairie Farms farm families and employees take a lot of pride in giving back to the communities we are a part of,” Michelle Fluty, program coordinator at Prairie Farms, said. “With today’s economy, local non-profit organizations have a greater need for support in order to continue their mission. Our Caps Your Cause is a simple way for families to support their favorite organization along with a local business,” Fluty added. More than 700 farms strong, Prairie Farms has been providing the freshest, highest quality dairy products for 75 years. Our Caps for Your Cause with Special Olympics started in December 2013 and will run through December 2014, so save your caps and help Special Olympics Illinois. If you have any questions, please reach out to Denise Samulis. 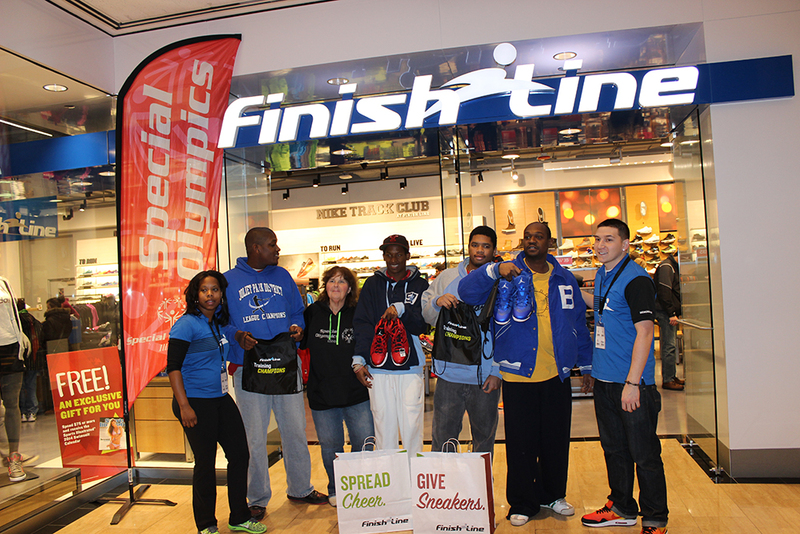 As part of the Finish Line Youth Foundation 2013 Holiday Campaign two Illinois athletes were chosen to receive a new pair of shoe from Finish Line. Johnny Riley, who will be competing on the USA Games on the Illinois volleyball team, and Tim Pruitt of SRJC were chosen as the recipients. On Dec. 7, Johnny and Tim, along with their coach Katie Dillon and teammates Anthony Evans and Nas Tabb, went to the Water Tower Place Mall Finish Line location in Chicago to be given the royal treatment and fitted for their new shoes. Tim and Johnny were fitted with new Nike Basketball shoes while their teammates supported them. These teammates have won several state championships and participate in basketball, volleyball and softball together. They support each other in every endeavor, thanks to their great coach. As an unexpected bonus, they were all very excited to meet Josh Smith from the Detroit Pistons at lunch later that day. Smith stopped by our table and talked with the team for a few minutes. Thank you, Finish Line Youth foundation for supporting Special Olympics athletes in Illinois and across the country.